When I was younger I used to really enjoy a series based, I think in Alaska, named Northern Exposure. I also spent a summer on a J1 in Hyannis Port in Cape Cod in America. How is this relevant to Auckland you might ask? Well there’s something about the timber frame houses, the wide commercial streets with overhanging awnings, the mail boxes on the edge of drives and the lack of fences that remind me of America and in turn Northern Exposure for that matter. Don’t get me wrong I am not saying New Zealand is like America, it’s just that it is more like America than any other part of the world that I know. Or maybe to its credit America is more like New Zealand than anywhere else in the world, although I doubt it. I suspect it is also very like Canada although I have never been so I’ll take someone else’s opinion on that one. Perhaps it’s just the amount of space and therefore the density of development that is similar. 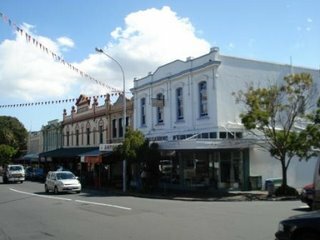 We went around an area called Ponsonby just outside the centre of Auckland and although I do not have any pictures of the area it was very like small town America. 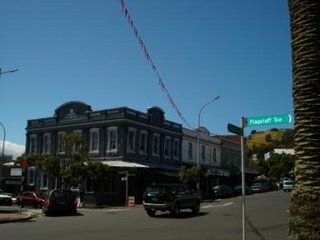 I took some photos of Devonport and although it is not quite as “American” as Ponsonby I think you can get quite a good impression of what I am writing about. Speaking of southern exposure the South winds in NZ are the equivalent of the North Easterly’s in Ireland but given our proximity to the Antarctic it makes the North Easterly winds feel tame by comparison. 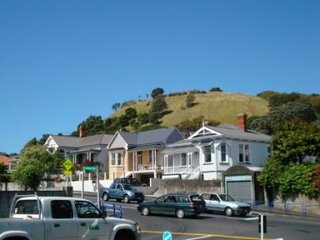 Especially here in Wellington which is known for the winds that blow through the Cook Strait. If I find a moose I'll let you know! 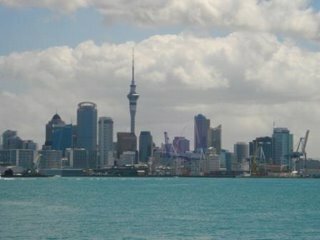 Although we have gone from Hong Kong to Wellington via Auckland and Hamilton we are still playing catch up with our posts, and so we turn our attention to NZ’s biggest city, Auckland, before posting our way down south. 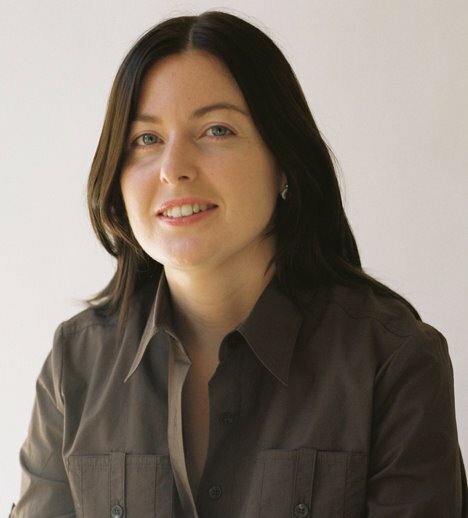 Human nature is funny, once you arrive somewhere for a year, the sense of urgency goes and in its place comes the catch phrase “a sure we’ll do it when we come back.” Add a little jet lag and you become quite lackadaisical about the whole tourist thing. Therefore we have few photographs of Auckland except for one we took on our way to Devonport, a small resort town about a ten minute ferry ride from Auckland. We did however manage to do a few other things while we were in Auckland despite our tiredness. 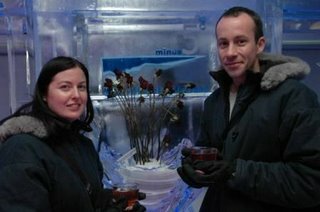 One of those was a visit to the “Minus 5” bar where you can have a drink from an ice glass in a bar made out of ice which is full of ice sculptures. Basically lots of ice! Before you go in you are kitted out in gloves, jackets, boots etc. It’s a bit gimmicky but an experience none the less. You are not allowed to take your own photographs, but you can conveniently buy theirs before you leave. This also entitles you to download the digital photos off their web site and send e-cards of your photo which is a good idea. At least they don’t have to worry about people out staying their welcome as believe me it is cold irrespective of jackets, gloves etc. and one is not inclined to loiter. Incidentally there is a very funny part of a novel about revolving restaurants I read sometime ago. Two old acquaintances are eating in a restaurant and every time the older gentleman leaves the room, when he returns his friend was no longer where he had left him but seemingly moved to another table. Each time the older gent would ask his friend was the new table more to his liking. The younger friend would look at him somewhat puzzled and say that the table was fine. It turns out that the older gent was unaware that they were in a revolving restaurant. It’s funnier in the book....................honest.